The Power of Penman. Teamwork exemplified in literary arts magazine. True. Literary Arts publications advisers earn champ rings in Virginia. Cat Misar and Sarah Congable (former adviser), literary arts magazine advisers at Washington & Lee High School (Arlington, VA) were awarded with the VHSL’s Charles E. Savedge Award. The Savedge Award is earned by publications receiving a Trophy Class award five years out of a seven year span. This is Sarah Congable’s second Savedge Award. During the second cycle, Cat Misar took over advising and continued to earn Trophy Awards with her Penman publications teams since 2011. Jostens is the official commemorative partner with the VHSL and provides the champ rings to publications advisers in the state of Virginia. The adviser’s rings include the school name, publication’s name and stone color of choice. Jostens publishes the winter and spring issue of the Penman. The staff utilizes Jostens’ award winning publishing platform, YearTech Online to conveniently produce each issue of the literary arts magazine. This past fall Mike Smith, host of The Harbor™ by Jostens, traveled 12,000 miles and spoke to over 25,000 students with The Harbor Back to School Tour. 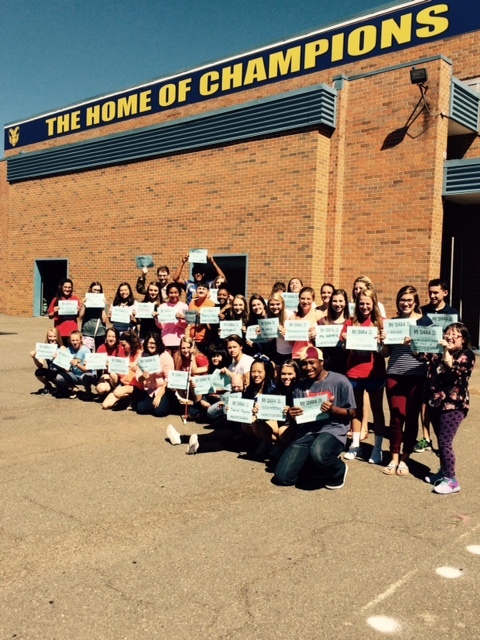 Mike’s message to students was to be inclusive and leave a positive legacy at their school. Some students at Robinson Secondary School in Virginia decided to do just that.“We realized it is possible for us to get to know each other as real people,” explained junior Nam Kim. Robinson Secondary School plans on showing two “episodes” per month, and videos from the student body have already started coming in with varying topics. From a 9th grader’s message of hope after losing her mother to breast cancer, to students talking about their personal struggles with anxiety and depression, to a message of the importance of service and charity, the goal of the videos is to get students to know and inspire each other by sharing their stories. The Harbor Back to School Tour and The Harbor ™ by Jostens are designed to inspire students to make a change in the culture of their schools. We want to hear and share your stories of students that are making a difference. Send them to Renaissance@jostens.com today. October 8th, 2015 was an epic day in Fairfax County and for Northern Virginia Schools (with some traveling from West Virginia and Maryland). 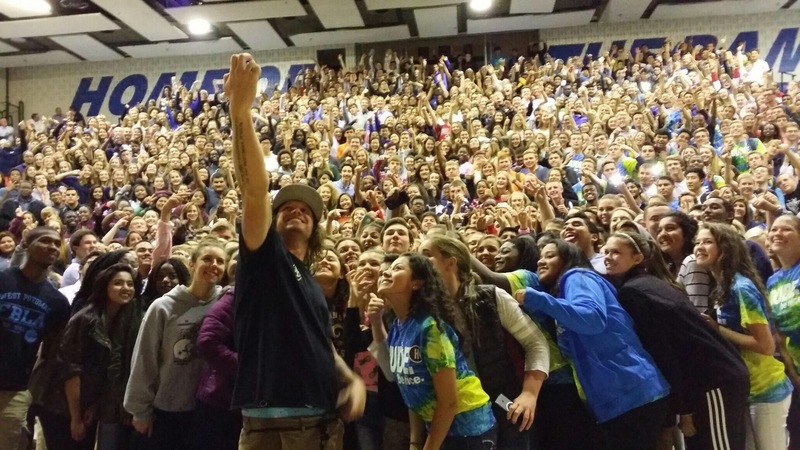 Over 1300 students engaged with Mike Smith, host of The Harbor, sponsored by Jostens and local representatives. Packing the Robinson’s Field House with huge energy, Mike Smith shared his story and how he’s made a dramatic positive influence in this country- especially when it comes to his work for Skate for Change and the homeless. Students danced, listened and strategized about their personal legacies and the legacy they’ll leave behind at their schools. It’s only getting started.